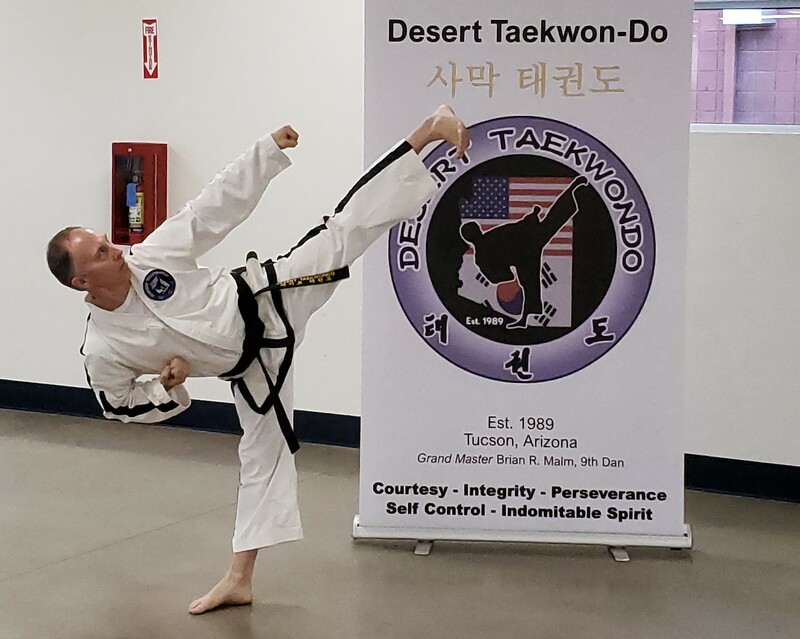 Desert Taekwon-Do held it’s first Technical Training Seminar on October 27 and 28, 2018. Grand Master Brian Malm and Master Mark Plante taught 32 students ranging from age 6 through age 71 over the two day period. Students learned, practiced, and perfected Basics, Fundamental Movement, Proper Chambering, Stances, Outward Curve, Kicking, Natural Motion, and Patterns.